Exeter continues to take a small but dedicated team to the Southern Athletics League, this time to Winchester . Ben Stone excelled himself competing in the 400m, 800m, 1500m and 5000m where he had a track PB of 18:06.7m coming 1st in a tightly fought race with Winchester’s A string runner. Kit Oliver Stevens ran the 200m and 400m, coming very close to his PB in the latter, running 53.8s and winning the A string race. 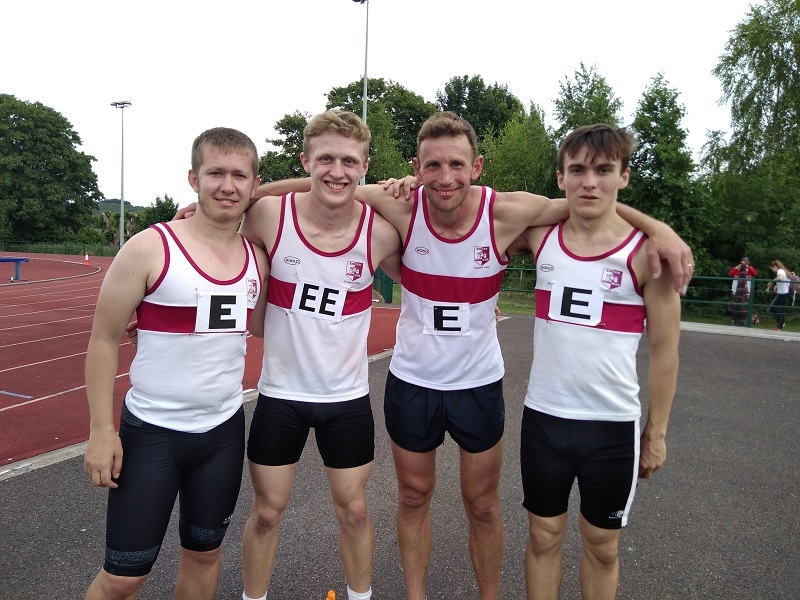 Sam Crowter came 3rd in the 100m and threw the discus, whilst Chris Perry ran close to his PB in the 100m in 12.2s and ran a PB in the 200m of 24.1s, winning the B string. 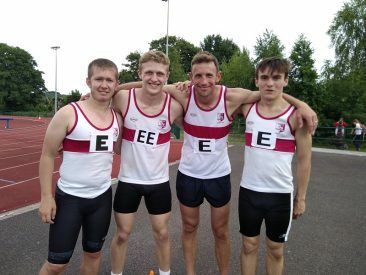 The Men’s team came 3rd in the 4x100m relay and 2nd in the 4x400m relay. There were many PB’s for the ladies, Freya Rose won both the 100m and 200m with a PB in the former of 12.9s. Jemima and Isabella Kersey had PB’s in the 400m , 62.2s and 63.6s respectively winning both the A and B strings. Josie Wilson had a season’s best in the 800m of 2:33.4m winning this and the 1500m A string races. Catherine Harman had a season’s best in the 1500m of 5:54.5m winning the B string 800m and 1500m. 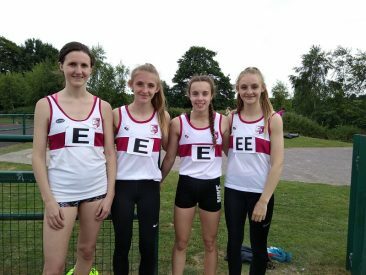 The ladies won both the 4×100 and 4x400m relays. 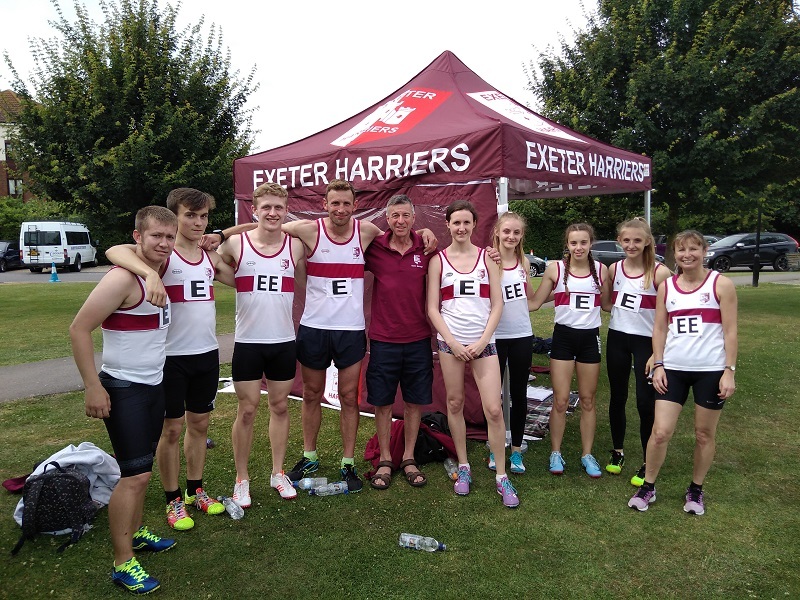 Overall, with the small numbers, Exeter came 3rd in the match. The next fixture is 14th July in Salisbury.